Fortinet today announced FortiNAC, a new network access control product line that delivers network segmentation and automated responses for IoT security. The massive rise of unsecure, headless IoT devices, including industrial and medical IoT, requires new tools for securing networks. Fortinet’s new FortiNAC product line delivers network access control to secure IoT environments and provides enhanced visibility, control and automated response capabilities. FortiNAC provides detailed profiling of each device on the network and enables granular network segmentation and automated responses for changes in device status or behavior. This ensures each device only has access to approved items on the network. “Digital transformation brings a proliferation of unsecure IoT devices accessing the network, and with it, the increased risk of a security breach. FortiNAC allows organizations to identify every single device on the network and enables segmentation, giving each device access only to approved items. This functionality is delivered all within a solution that works with multi-vendor environments and an unlimited number of devices. FortiNAC stengthens the Fortinet Security Fabric for IoT deployments, delivering broad, integrated and automated cybersecurity solutions across the entire attack surface. In the world of IoT, FortiNAC answers the question ‘what’s on your network’ and then enables you to protect it,” says Rajesh Maurya, Regional Vice President, India & SAARC at Fortinet. The use of IoT devices is growing at a tremendous rate as organizations embrace digital transformation to enable better operational efficiency. 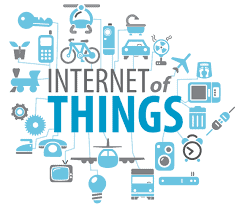 According to Gartner, “Internet of Things endpoints will grow at a 32% CAGR from 2016 through 2021, reaching an installed base of 25.1 billion units.” The sheer volume of devices – including IoT, corporate, and BYOD – seeking wired and wireless network access are exponentially enlarging the attack surface and raising internal provisioning, management and compliance costs. The responsibility of connecting and securing access has shifted from a network-led issue to a security-led issue and poses a challenge for organizations: security managers need to secure every single device every single time, while cybercriminals only need one open port, one compromised or unknown device or one uncontained threat to circumvent all of the effort going into securing the network. Networks are in constant flux, with new devices connecting and disconnecting; controlling the network by controlling access to any device seeking access is a key part for ensuring the integrity of a network. Such an approach – where no unknown devices ever gain access to the corporate infrastructure, permitted devices are automatically segmented based on policies and roles and connected devices that begin to violate profiles are immediately quarantined from the network – becomes the foundation for a comprehensive security posture. Furthermore, the FortiNAC network access control solution is cost-effective and highly scalable, extending visibility and protection to an unlimited number of devices and eliminating the need for deployment at every location of a multi-site installation. Unsecure IoT Devices are Leaving Organizations Vulnerable: Fortinet 0 out of 5 based on 0 ratings. 0 user reviews.